Thank-you for adding me to your membership. 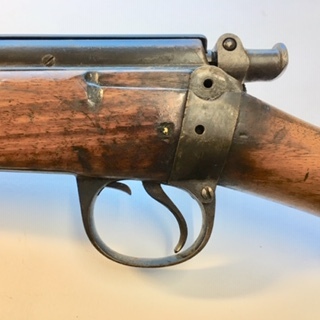 I need help identifyi this rifle. 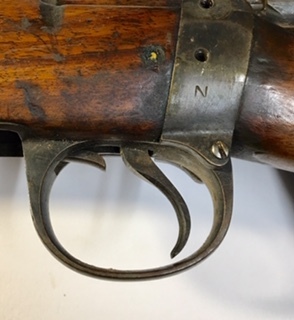 Like so many before me I have aquired an old Enfield needing identification and would love to figure this old warrior out. I have no experience and have succeeded in only confusing myself with all the varying opinions online. Its an 👑 VR/1P sporterized with a 24.5” barrel and an overall length of 44.5”. 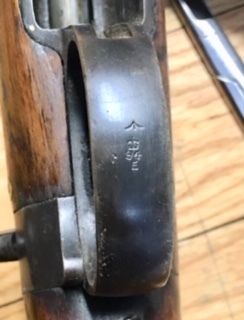 Lots of stamps and numbers on it so I’m sure will make it easy for the trained eye to id. I’m not sure how to post all my photos. Hopefully this post won’t get me punted. Word of warning!! Don't call it a gun!!! Hoadie will have your guts for garters!! Thudclang: First of all - welcome to the forum. Don't worry about being "punted"...UNLESS YOU CALL IT A GUN!! 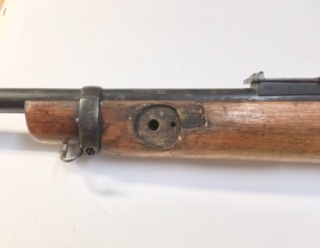 It's a RIFLE but we can't tell you much without more information...like good quality photos. Thank-you for that heads up hoagie. I didn’t think you were the type to wear garters. I’ve got a pile of photos to post but I’m not sure where. Should I just add them all to my first posting? My apologies Hoadie, my iphone made the auto correction and I didnt see it. My next question was actually giong to be where do I find a magazine and chargers? Trying a different angle on uploading...stand by. 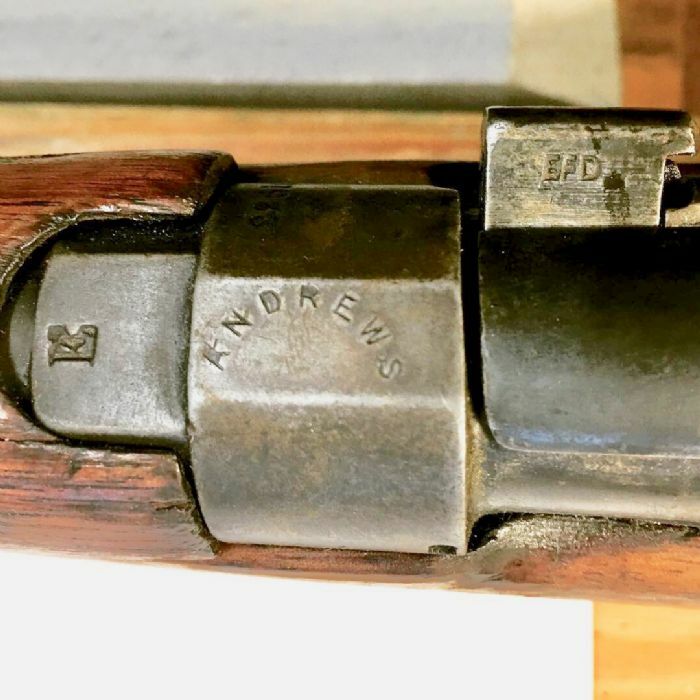 Another mystery: What is this Andrews stamp? EFD is the Birmingham factory? Help from the Englishman please! This photo is interesting to me. The farthest left is the crown B/01 or 81. Then there are the Crown VR crossed keys or flags? 2P stamp. This is the 4th Victoria Rex stamp. 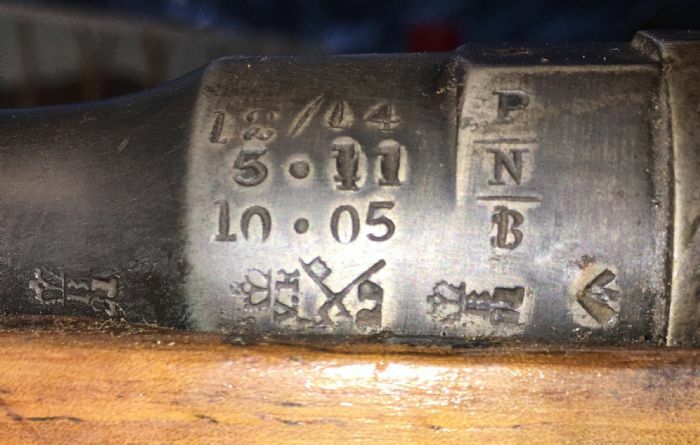 BNP (British Nitro Proof) testing numbers, meaning it was decommissioned for Army Surplus sporterizing? 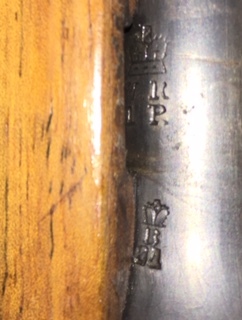 The lower stamp is another crown B (Birmingham?) 01?